Benjamin (Matt Scheurich) lives at home with his Mum, but the 23-year-old dreams of escaping the nest for some overseas experience. Pondering the question ‘should I stay or should I go?’, he retreats to his studio to create intricate shoebox dioramas of his destinations. Meanwhile Mum plans an (unwanted) birthday party for him. Director Michelle Savill made the film as part of a Film Studies course at Wintec in Hamilton. The quirky take on the yearning to leave — and the fear of being left behind — was selected for 20 film festivals, including Rotterdam and Clermont-Ferrand. This badass collection features a select list of titles that were withheld from our TV screens when first made, or caused trouble in other ways. Moral offenders include heavy metal band Timberjack’s town belt satanists, Hell’s Angels bikers, and a ‘no nukes’ Spike Milligan. Also in the list is The Neville Purvis Family Show, which did manage to screen, but got in hot water after an infamous use of the ‘F' word (not included here). Other offenders include meat-is-murder music video AFFCO, and Headlights’ drunk babes at the milk bar. "Ever wondered what the well-dressed man wears next to his skin?" 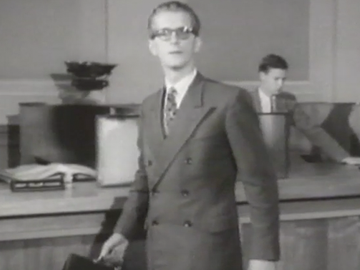 In this early 60s advertisement, the bloke is a businessman — played by 30-something Peter Harcourt — and the answer is tighty whities, aka Jockey undies. 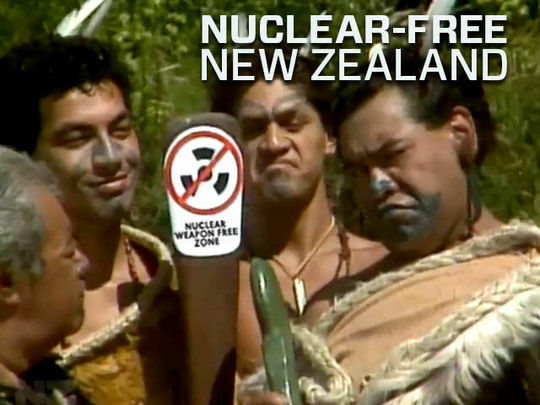 An era of selfies and Dan Carter Jockey billboards was decades away, and originally the Pacific Films-made ad was rejected for television screening, before later being passed on appeal. Harcourt acted regularly in Wellington theatre; his wife was actor Kate Harcourt, and he fathered actor Miranda and journalist Gordon. The Afro-soul-meets-Aotearoa roots and energy of The Hot Grits sound is summed up by this question on the collective's website: "What do you get when you fix a pound of Fela Kuti's Afrika 70, two cupfuls of The Meters, 250g of thinly sliced early James Brown and a level dessert spoon of psychedelic rock?" The 11-piece outfit has the kudos of having their first music video, Headlights, banned by state broadcaster TVNZ for showing toddlers simulating an adult night on the town. This documentary tells the heart-wrenching story of Eve van Grafhorst, who contracted HIV from a blood transfusion after she was born three months premature. 1980s' attitudes to HIV saw Eve banned from her pre-school in Australia, leading her family to settle in New Zealand, where Eve became a high profile poster child for AIDS awareness. This award-winning film chronicles Eve’s medical struggles, her HIV AIDS awareness work, and her astonishing bravery in the face of illness and death. Eve died peacefully in her mother’s arms in 1993, at the age of 11. 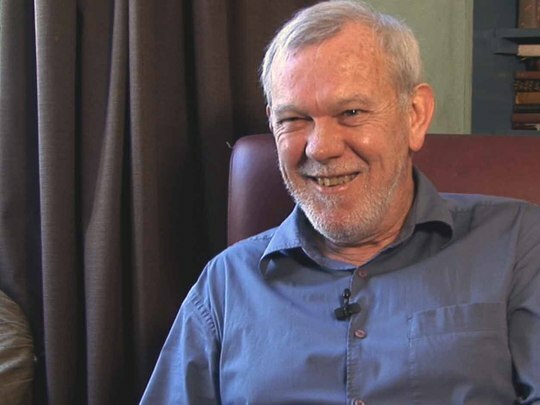 John O'Shea was godfather to generations of Kiwi filmmakers; he was an inspirational force committed to bringing new perspectives to the screen. As Ngati actor Wi Kuki Kaa put it, "had he been a Māori, he would have been a kaumatua years ago". This documentary backgrounds O'Shea and his pioneering indie production company Pacific Films, ranging from his efforts to put Māori on screen, to banned 60s ads. The cast provides proof positive of O'Shea's influence — amongst the ex-Pacific staff interviewed are the late Barry Barclay, Tony Williams and Gaylene Preston. This showcase for Arthur Baysting's sleazy, comedic alter-ego Neville ("on the level") Purvis ("at your service") is notorious for containing the first use of the f-word on a New Zealand television show. As a result, Baysting was banned and crossed the Tasman to find work (an irony given the show's anti-Australian jokes). Surviving segments from the show include a launch by PM Rob Muldoon, a tour of Avalon, a performance by Limbs Dance Company (including Mary-Jane O'Reilly), a visit to the Close to Home set, an interview with a garden gnome fan, and some Mark II Zephyr worship.